A single-family house built on an elevated site blessed with views to the town in the basin valley below and the Northern Alps in the distance. 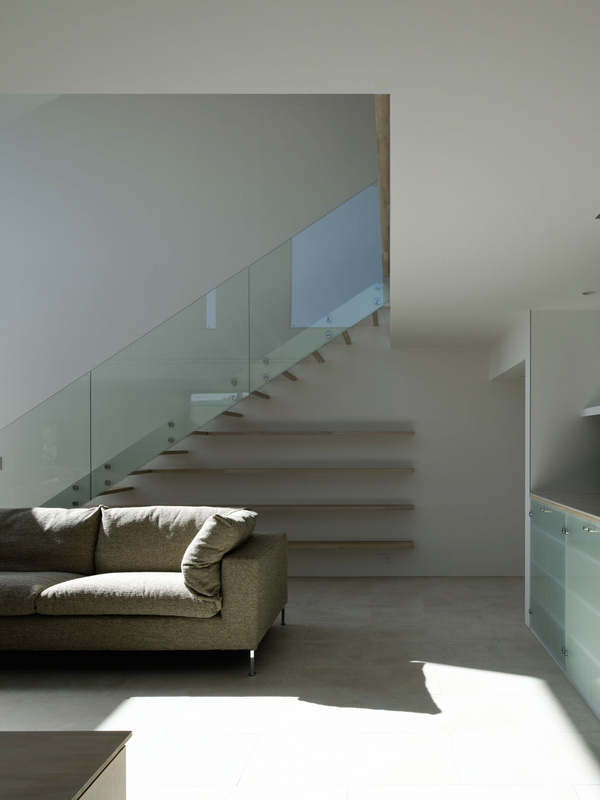 The client, who had originally lived in the area, wished for a house that takes advantage of the great location and connects their everyday life to the landscape. e Shinshu region has refreshing and comfortable weather throughout spring to autumn, but the winter brings harsh cold with temperatures that at times drop to minus 10 degrees Celsius. e client thus also requested a house in which they can live warmly even through the severe cold of winter. In response to these wishes of the client, we began by proposing interconnected interior spaces that encircle a courtyard and gently shift in height according to the topography of the site. Subsequently, we designed the rooms to relate to the landscape in different ways. 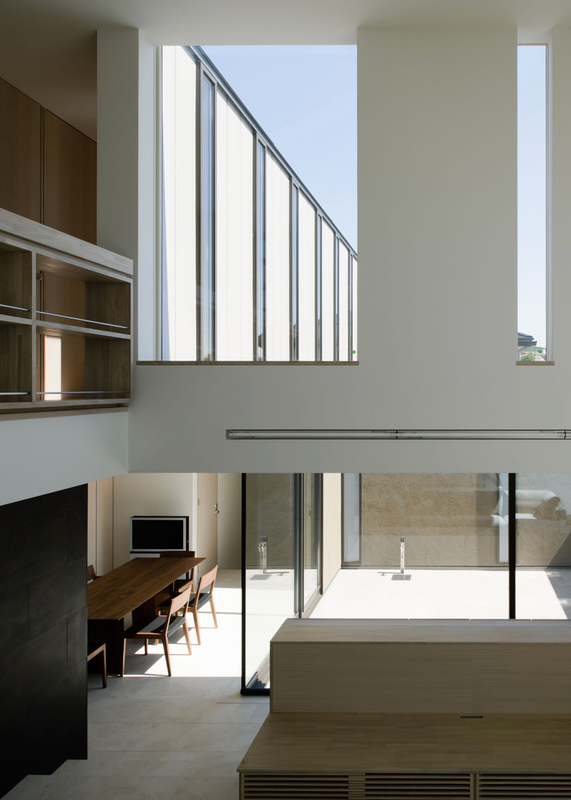 e living room has a very large steel sash window that opens towards the town and mountains; the dining room draws in the scenery across the courtyard; and the gallery has many tall slit-like windows. The K House was the first house that we designed in a cold climate area and so we directed our efforts particularly towards improving the quality of the thermal environment. 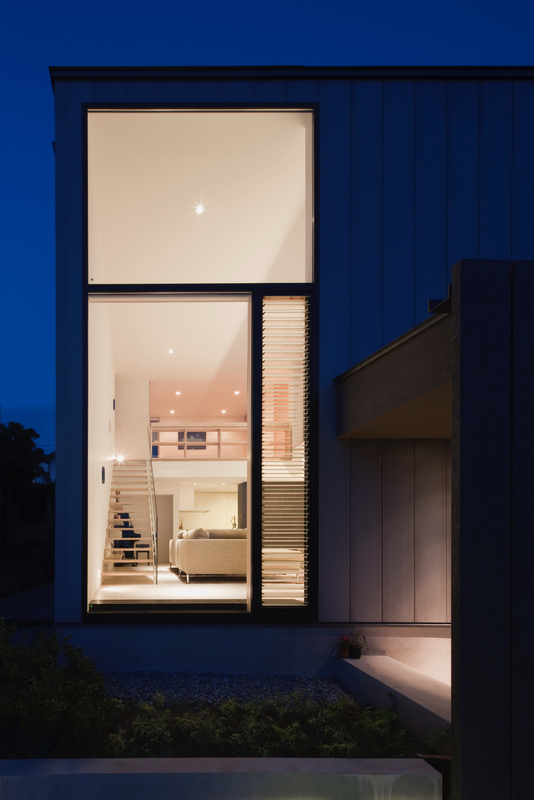 We gave the walls and roof a level of thermal insulation that surpasses even next-generation standards and used low-e double-glazed windows to effectively insulate all of the openings. 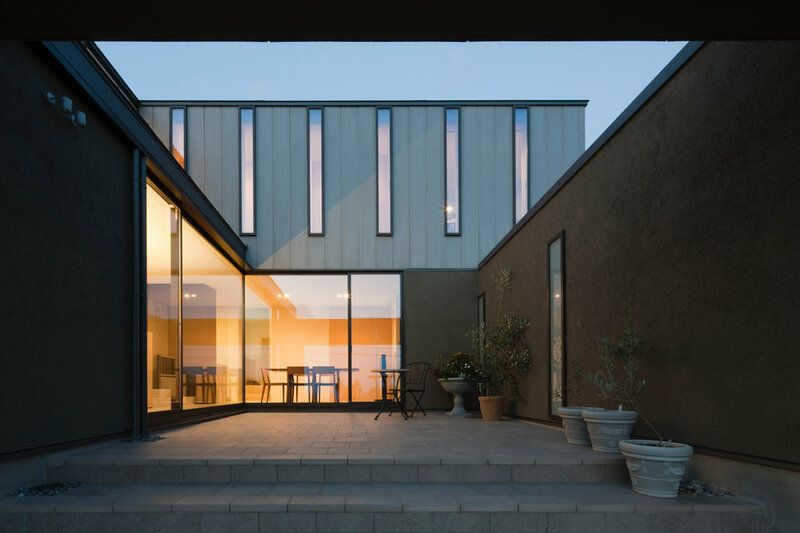 Furthermore, we installed a sliding insulation door that can be pulled out as needed along the inside face of the large L-shaped opening that merges the spaces of the interior and the courtyard. is sliding insulation door is like a modern shoji screen that was made by the Sekisui Chemical Co., Ltd. using two acrylic panels that encase an “Air Sandwich”, a transparent insulation material developed with the aid of the New Energy and Industrial Technology Development Organization (NEDO). By pulling this door shut, a level of thermal insulation equivalent to that of ordinary exterior walls can be achieved for the window. 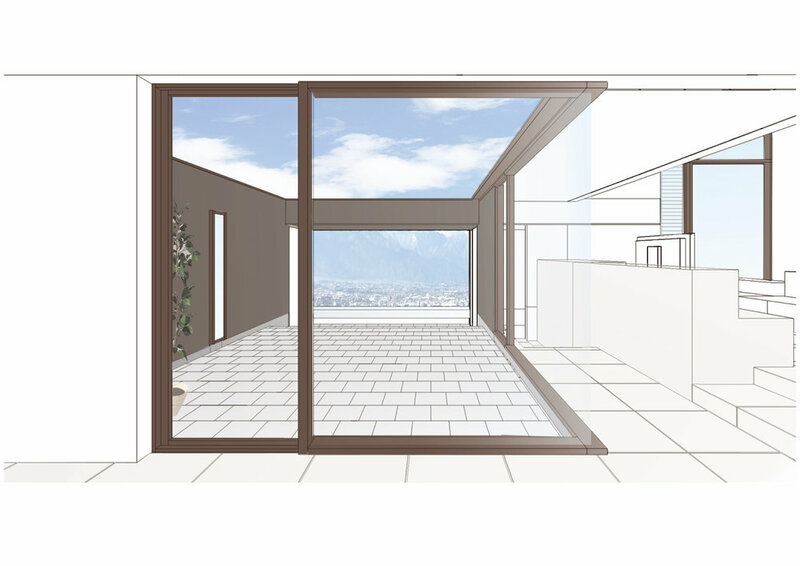 The sliding insulation door was able to be implemented in a newly constructed house for the first time both domestically and internationally with the full support of Sekisui Chemical Co., Ltd.